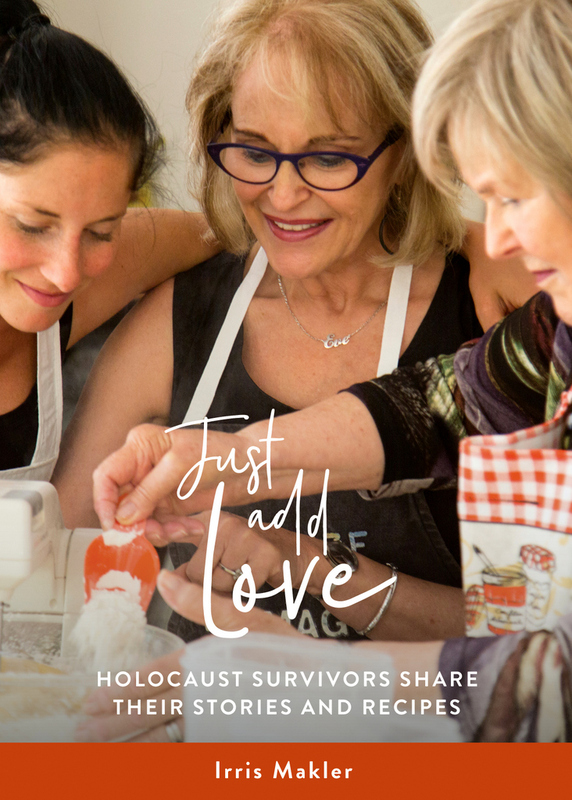 This is a page devoted to you, our backers - the people who have supported our upcoming book, Just Add Love, Holocaust Survivors Share their Stories and Recipes. It has been very moving to compile this list because your generosity and your faith in our project is what will enable us to publish our book. It’s not long now - it’s due out in April 2019! And like so many of our backers, and the grandmothers in this project who contributed their time, their stories and their recipes and cooking secrets, we can’t wait to hold the book in our hands!!! One of the women on this list wrote to me about her much missed mother in law, a Holocaust Survivor who had passed away more than 20 years ago, “but her love lives on in her recipes.” That beautiful line could summarise our book. Another reason it’s so moving to look through the list is that many of the backers have chosen to include the names of Holocaust Survivors here too, as a way to honour them. This book is already attracting so much love and respect, it makes your heart sing. To purchase your copy of Just Add Love click on the button below. Fay Kingsley in honour of her parents Abe and Blima Ptasznik (née Finder).